At the end of Calderside Road, in the area of Basket, is the Basket Highway, or Chainlink Road. This ancient road has a junction right at the current East Kilbride Expressway, which splits into Puddock’s Lane, another old road with kerbstones still visible. If you’re looking for this location, easy access is from the layby situated about halfway up the EK expressway heading towards East Kilbride, right at the dip in the road. The road, joined up on the Stonemeadow Side of Basket long before the EK expressway was built. It is a great walk and very beautiful in Summer and Winter. Here are my photos illustrating the road in September 2013. The ancient Chainlink Road, leading from Puddocks Lane to Calderside. Puddock’s Lane is a reference to frogs, which is likely to have been due to the poor drainage at the end of the steep incline from the road itself, or the constant flow of water which may have attracted frogs to spawn. 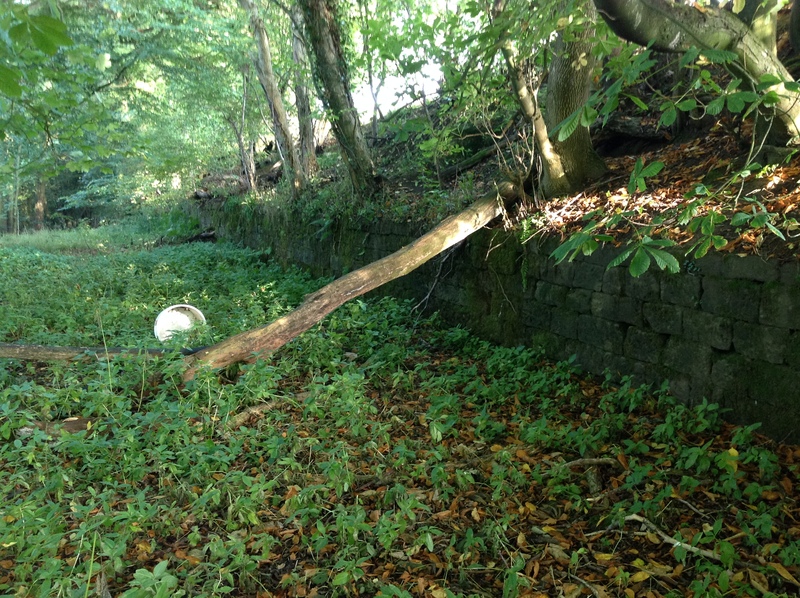 The Chainlink road has a well constructed stone retaining wall against it keeping back the Eastern fields of Basket. 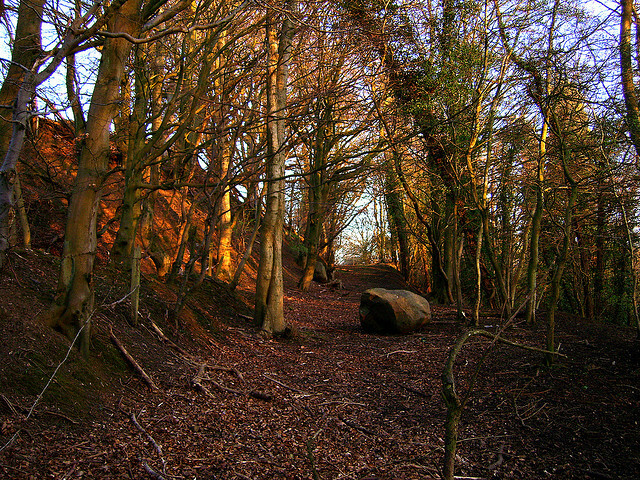 Towards the junction with Puddock’s Lane, are two large boulders that have ancient markings on them. The boulders may not always have been in those locations, as they interfere greatly with the passing space on the road itself. They may have rolled over from the edge. It is unknown how old (or how genuine) the old engravings are. Please click on the photos for a detailed look. To find the carvings, simply look for the large boulder obstructing the path. Is The Chainlink road the road which goes down towards the EK expressway past basket farm, so that if you were walking along Calderside Road from Sydes Brae you would keep going straight ahead?